Encaustic painting by Mary Farmer. Image Source. Bees pollinate one in every three bites of food a person eats, plus they play an essential role in a new class being offered at Bemis this summer: the ancient art technique of encaustics. Encaustic, also known as hot wax painting, is made by adding pigments to heated beeswax. After pigment is added, the heated beeswax is applied to a canvas. The wax can be manipulated with heated tools after it has cooled, and specials tools can be used to apply paint and manipulate the wax before it cools. The light and sweet scent of bees wax remains with the finished piece of art. Romano-Egyptian, Egypt, about 100 - 110 C.E. Linen, pigment, and gold; encaustic on wood. Encaustic paint began in Ancient Greece. The Greeks used it as a form of sealing and waterproofing their vessels. Pigmenting the wax was a way for shipbuilders to decorate their vessels, which lead to refining the process for works on canvas and wood. The Egyptians quickly adopted this technique and began incorporating it in their mummification process. 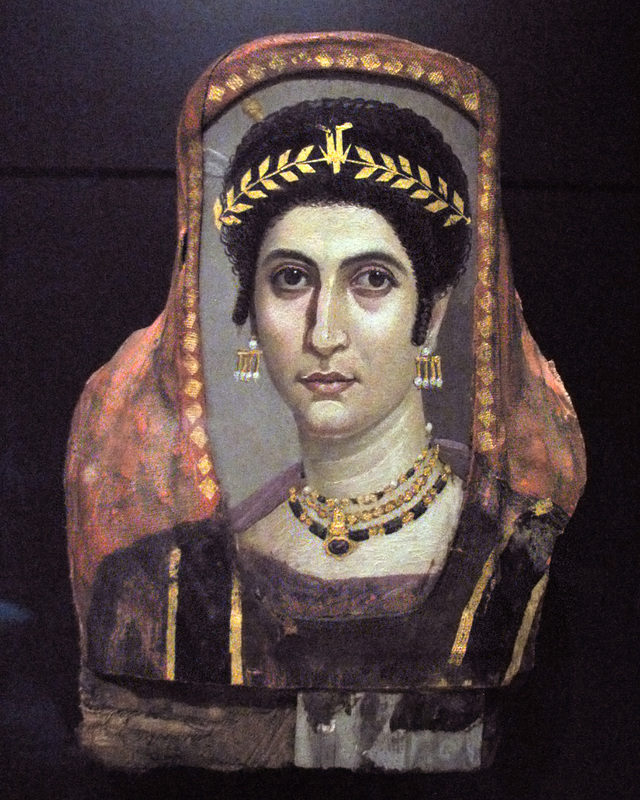 Egyptians painted elaborate portraits that were placed over the mummy’s memorial. Bemis School of Art is offering a new half-day workshop: Introduction to the Art of Encaustics. The workshop will shed more light on the history of this art form, include demonstrations on different techniques, and offer a chance to create your own encaustic art piece. The next time you see a bee whizzing past, think twice about trying to swat it; we would be at a huge loss where it not for bees. Sat., 6/23 or 6/24 | 10:00 a.m.-3:00 p.m.